It’s 6:30am and my alarm goes off. By alarm, I mean my mother telling me to get up. “It’s time to get ready for school,” she says. “I laid out your favorite Zubaz pants.” (Kidding about that, kind of…) Then she’d leave my room to continue preparing breakfast, and probably hoping that I’m not going to snooze her for another 5 minutes. While lying in bed, teetering between dreams and reality, sometimes the only motivation I had for facing another day of Mrs. Hansen’s 3rd grade boot camp was the bowl of cereal waiting for me downstairs. I remember just getting lost in the back of the box. 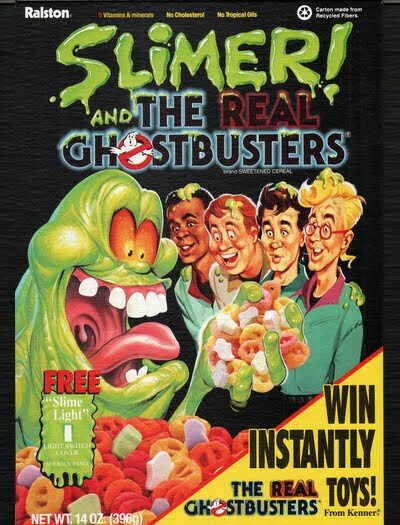 Oftentimes cereals would have an intricate, Where’s-Waldo-esque scene on the back, and I’d chomp away while admiring the cartoon fantasy land that I desperately wished I could visit in real life. The back of the box always coordinated with the cereal’s theme too. 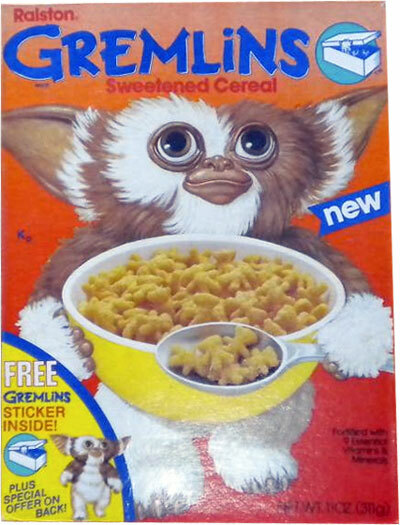 Once the box started feeling light, you knew that any day a toy would pour out with the final bowl of cereal. Sometimes if you were too impatient, you might force-feed yourself just so you could get to that toy. And whether it was a little dinosaur, a toy car or one of those parachute guys you could throw out a window, a fight between my brothers and I over who gets the toy would inevitably ensue at the breakfast table, to the point where we had to take turns claiming ownership. (Josh always got the best ones, no fair…) Today it’s a lot harder to get away with throwing a toy in with food, because apparently kids will eat and choke on everything. Walking down the cereal aisle now, there are few pop culture tie-ins, no fun fantasy lands and hardly any “FREE INSIDEs,” only “Whole Grains!,” “Zero Sugars!” and boxes with computer-generated graphics (which somehow removes the warmth), directing you to go online to join some lame cereal community or to play some mundane online game. 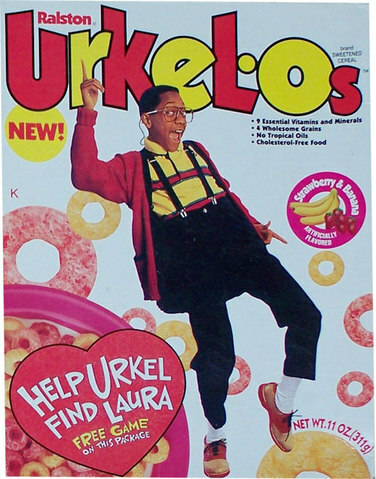 Of course we want our kids to eat healthy and to avoid choking-hazards, but nonetheless, cereal has lost its fun and pizazz. There is no flare, no spark, just a grocery aisle that is the result of years of regulations and consumer complaints. 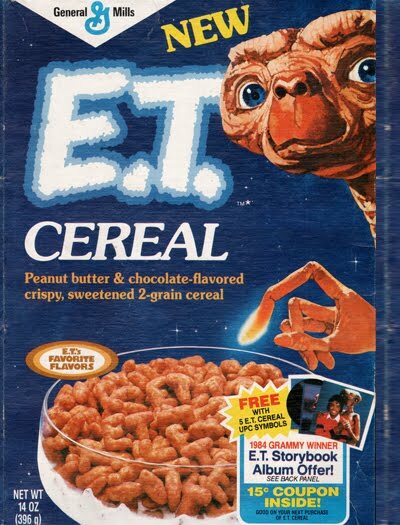 The cereal world that I once visited every day is long gone, and to me, it’s a tragedy. Is Your Writing All Talk? Do these phrases mean anything to you? I mean, the individual words are ok. But put together, they’re ambiguous, and pretty much meaningless. This is something I frequently notice in advertising and business communications – words that are pretty on the outside (sometimes not even that), and empty on the inside. They’re purely cosmetic. It’s just a gag played on the audience, similar to the tricks performed by this magician. Gaglines defeat the purpose of your advertising. They’re just pretending to say something, but really not saying anything at all. The purpose of your advertising is most likely to fix some kind of problem; transparent gaglines don’t fix those problems. Just because you use words like “excellence” or “inspire,” doesn’t mean you’re saying something meaningful and beneficial about the brand. Ad copy needs to be real and genuine. It should focus on the message, not the words. Every ad you put out there is an opportunity – an opportunity to be heard, to influence consumers, to boost sales for the client… Failure to say something meaningful about the brand is a missed opportunity. So take advantage of your spotlight moment. Give your words legs to walk, and say something worth listening to.